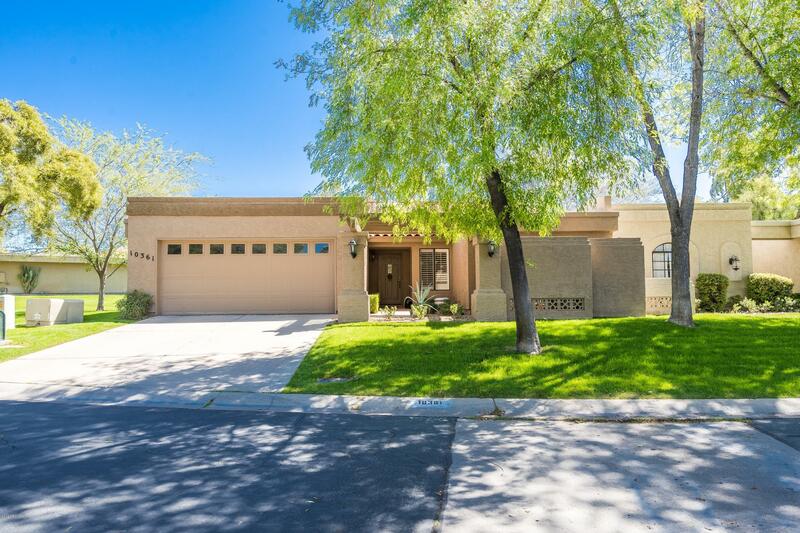 All HERITAGE VILLAGE 4 homes currently listed for sale in Scottsdale as of 04/23/2019 are shown below. You can change the search criteria at any time by pressing the 'Change Search' button below. "TOTAL REMODEL and GORGEOUS in 55+ Community. Features Large Great Room, Dining Room and Eat-in Kitchen. TWO  Master Bedrooms plus 3rd bedroom with ensuite half bath. All NEW porcelain flooring, cabinets, Quartz Countertops and Appliances. Located in a Cul De Sac with large patio that faces the park and walking path. The pool is across the street. Remodeled with WIDE DOORS and halls, no steps, roll-in shower in the Main Master Suite. 2nd Master features TUB and separate Shower. Garage entry in"
"Nestled in the interior, this 2BR with large Den and 2.5 baths features soaring ceiling with large skylights, wall of windows facing quite private greenbelt views, contemporary fireplace, wide walls tto welcome your artwork, bay windowed dining room and breakfast nook, impeccable kitchen cabinetry with soft dove gray counters, massive master suite with walls of closets, split guest bedroom and a partially open den that can accommodate overnight guests nicely. Just listed and Priced to Sell! Her"
"Wonderful Single Level home in 55+ Golden Heritage Community! 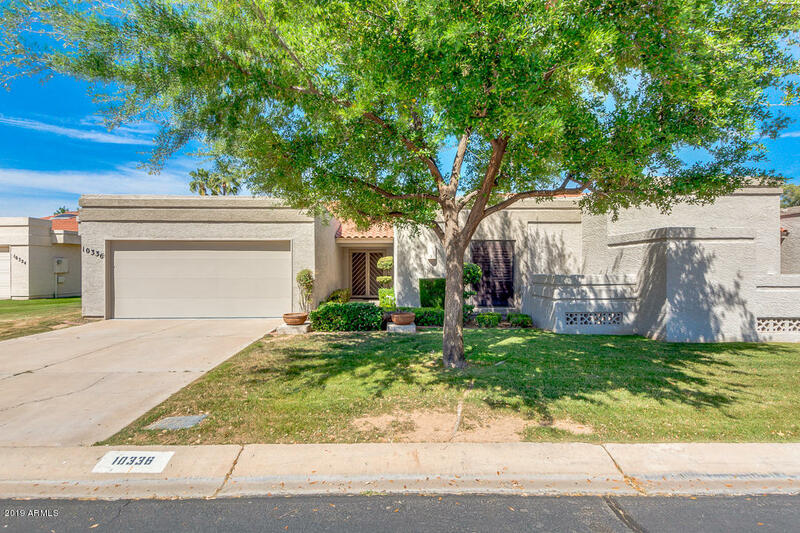 Located in the heart of Scottsdale Ranch where you have access to Lake Serena, restaurants, shopping, and nearby Senior Center. Well maintained split 3 bedroom floor plan with large master suite, and walk in closet. 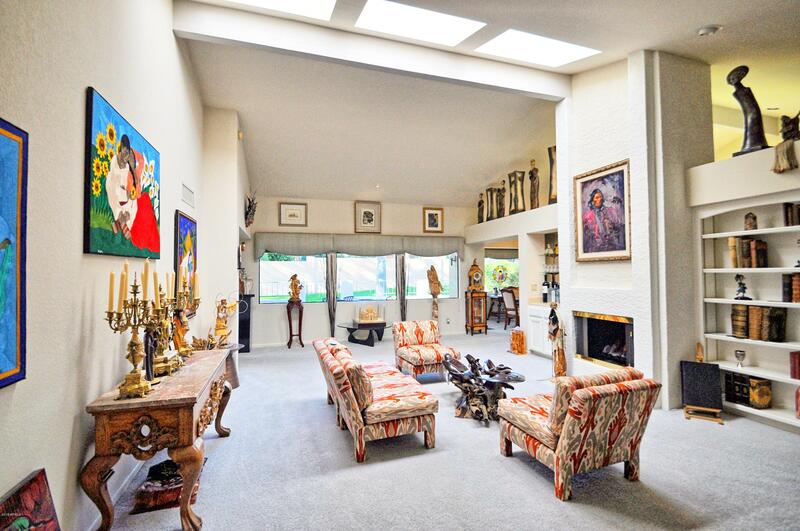 Light & bright open feel with the vaulted ceilings in living room and master bedroom. Kitchen was remodeled in 2006. 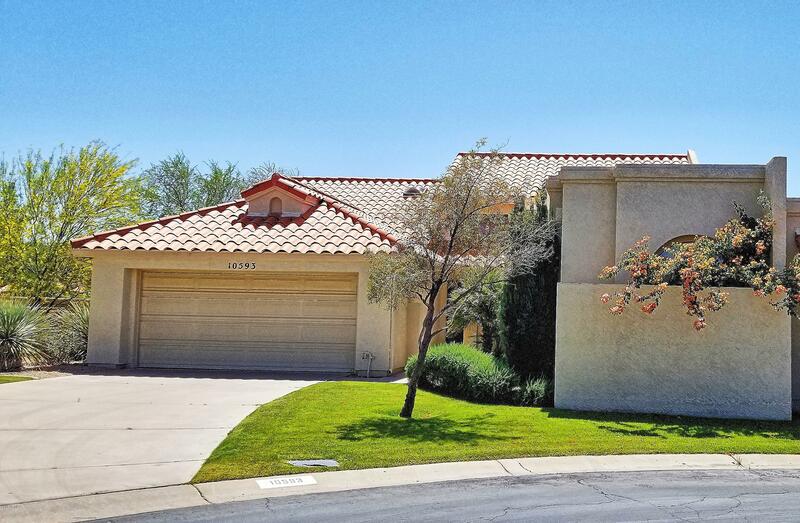 Finishes include custom cabinetry, granite counter tops, breakfast nook and stainless steel appliances, "
"Wonderful home in premier 55+ community located in the heart of Scottsdale! Very close to senior center, restaurants, shopping, parks, biking/walking trails. Home has been nicely updated! New wood floors in greatroom and carpet in bedrooms. Kitchen boasts granite counters with eat in breakfast nook and all stainless steel appliances included. New washer and dryer are included too! Plantation shutters on all windows allows for natural light. Vaulted ceilings in greatroom and master bedroom. Large"
"NEW CARPET, PAINT AND LIVING ROOM FLOOR RAISED. Move in ready! This Popular 3 BR floor plan is ready for immediate move in. Great street presence and architecture, with soaring ceilings, clerestory and arched windows, Dual pane windows and large open rooms. Stainless appliances, Corian Counter Tops and a Large Pantry. Large side and back yards maintained by HOA; cul de sac lot. 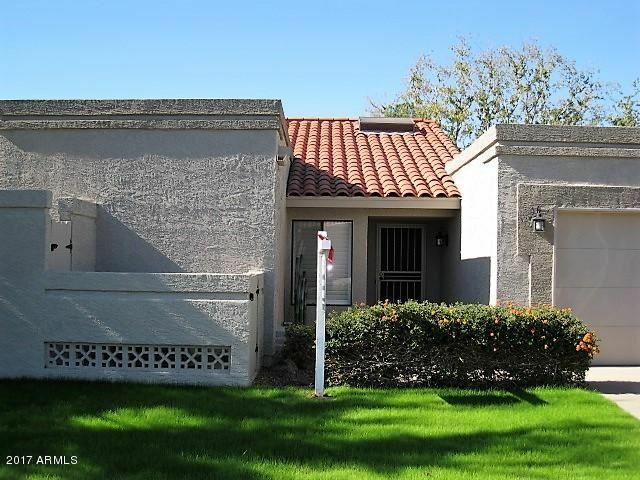 Located in Scottsdale Ranch's only 55+ community, Heritage Village 4 features 2 heated pools, tennis courts and walki"